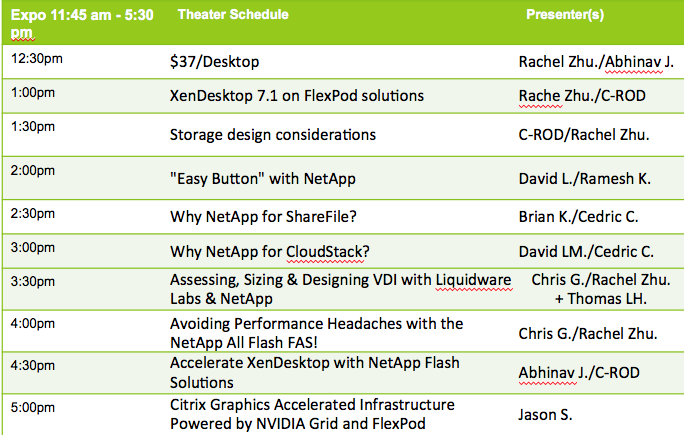 I am excited to go to Citrix Synergy every year. 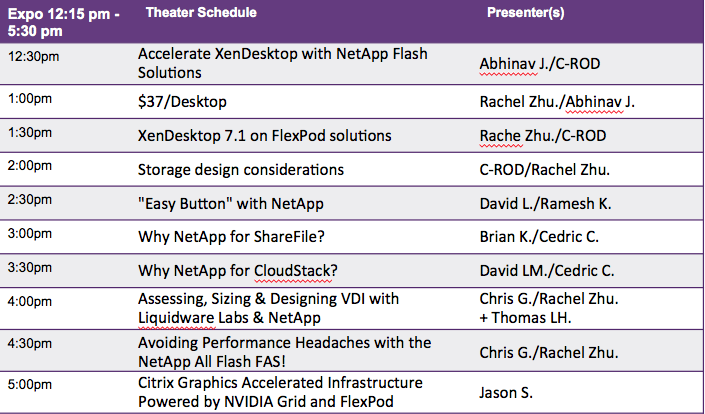 It is a time to get to hear what Citrix is going to say about virtual desktop, cloud and data mobility. Also it is always so good to meet my Citrix friends. 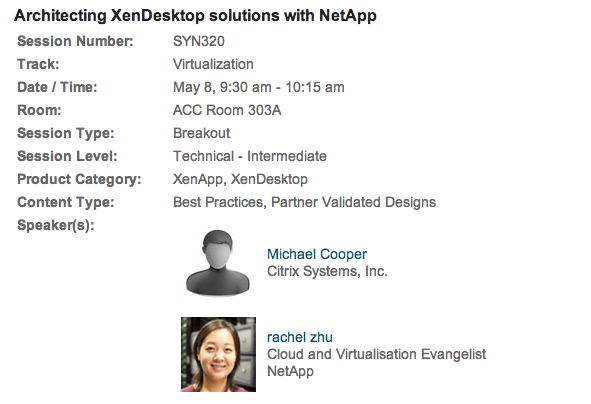 I will present M320 Accelerating Virtual Desktop with NetApp on Thursday May 8th at 9:30 Room with Mr. Cooper. 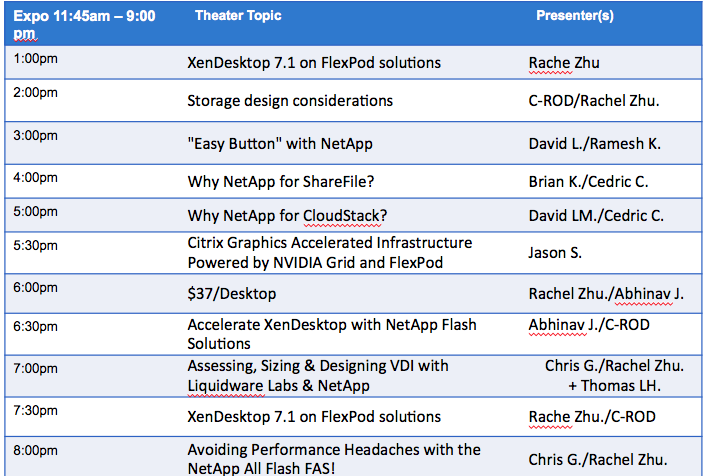 The session will cover 3 topics: Clustered Data OnTAP with vSphere 5.1 and XenDesktop 7.1 CVD, $35 dollar per desktop Citrix ready VDI capacity program and NetApp flash technology – All Flash FAS8000. Come by booth 201 to see our demos, meet executives, talk to customers, and mingle with technical experts. I am looking forward to seeing you in Anaheim.